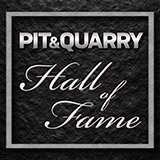 Pit & Quarry’s inaugural class of Hall of Fame inductees will be honored at a black-tie induction ceremony and dinner Sunday, March 17, at 7 p.m. CDT. The event follows the NSSGA Chairman’s Reception at the Grand Hyatt San Antonio, during AGG1. The seven inductees, detailed below in alphabetical order, were selected by a group of peers from a pool of nominees submitted by industry experts and you, our readers. For more information on tickets to the black-tie induction ceremony and dinner in the Lone Star AB ballroom, click here. Emil Deister, Deister Machine Co.
Emil Deister, the founder of Deister Machine Co., served as the company’s president and general manager from 1912 until his death in 1961. Under Deister’s leadership, the company began manufacturing vibrating screens in 1926 for the separation of materials according to particle size. Seven years later, Deister introduced a special screen for sizing the aggregate used in hot-mix asphalt plants, and the company subsequently added vibrating feeders and foundry equipment. 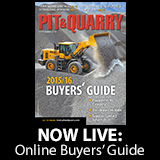 LeRoy Hagenbuch, co-founder and president of the engineering firm Philippi-Hagenbuch, introduced the first commercially available tailgate, the Autogate, for off-highway haul trucks. Hagenbuch is credited with other inventions and refinements, as well, including specialized liner packages to mitigate the weight consumed by liners and on-board weigh systems commonly found on haul trucks. A recent patent of Hagenbuch’s refines rear-ejection technology, allowing operators to push the load from the back of a haul truck instead of raising the bed. Charles W. Ireland, Vulcan Materials Co. The company that eventually became Vulcan Materials Co. traces its roots back to 1910, but Vulcan’s rise into mega-producer territory is largely credited to Charles W. Ireland, a member of the third generation of Irelands involved in the company. By 1951, Ireland developed a plan to capitalize on increased automobile ownership that subsequently led to an increased demand for crushed stone. The demand increased further after 1954, when a commitment was made to build a $50 billion interstate highway system across the country. In 1956 and 1957, Ireland directed the company’s transition to a public corporation. Samuel Calvin McLanahan, McLanahan Corp.
Samuel Calvin McLanahan designed nearly all of the equipment that came out of the foundry from the time he purchased one-sixth of McLanahan Corp. in 1880 to the conclusion of his tenure as general manager in 1902. Around 1890, Samuel conceived a way to wash clay from the rock in his family’s phosphate deposits in Florida. Inside a long wooden box, he mounted wooden logs and attached cast-iron paddles to them. Shortly thereafter, Samuel realized the need for a simple primary crusher that could handle wet, sticky feeds containing pieces that were too large. So in 1894, he invented the single-roll crusher to deal with the problem. Paul C. Mellott Jr., Mellott Co.
Paul C. Mellott Jr., chairman and CEO of Mellott Co., has been involved in his family-owned company for nearly 40 years. 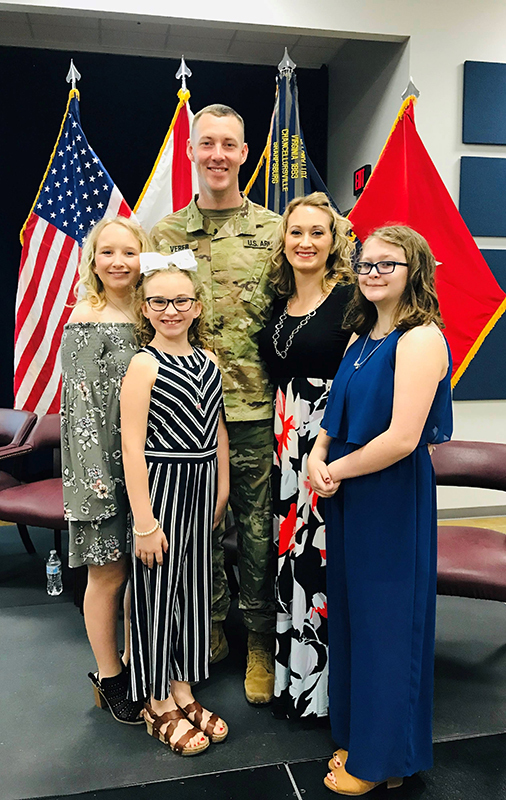 Mellott began handling contract-crushing leadership duties upon his father’s retirement in the 1990s, and he was later instrumental in the launch of a new equipment-manufacturing group. Mellott has been highly visible within the aggregates industry away from his company, as well, working closely with different associations to build political clout for aggregates. Mellott is also fundamental to the success of NSSGA’s political action committee, ROCKPAC. Two of Arthur Taggart’s works, the “Handbook of Ore Dressing” and “Handbook of Mineral Dressing” are essential text for nearly every aspect of aggregates processing, as nearly every piece of equipment involved in processing is based on his research. Taggart gained mining experience as a machine operator, mill sampler and surveyor early in his career. But the classroom is where Taggart shined most, teaching at Yale University’s Sheffield Science School for most of the 1910s as an instructor and assistant professor of mining. His career shifted in 1919 to Columbia University, where he became an ore-dressing professor. For companies interested in sponsoring the Hall of Fame, learn how here.